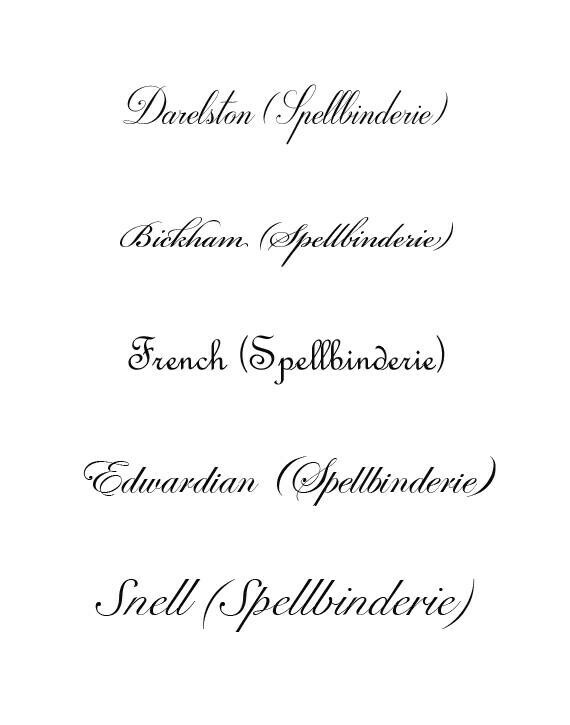 Spellbinderie offers stunning guestbooks made from French antiques. 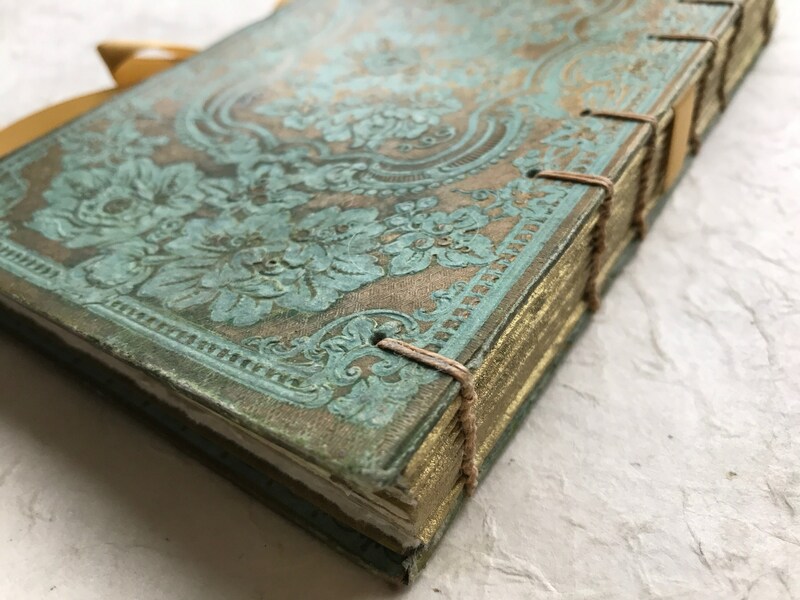 These gilded ornate book covers make perfect keepsakes for milestone moments. Photos show sold guestbooks but a similar guestbook can be made for you. Read on for details then contact me to get your custom order started. Sample photos show a sold guestbook. 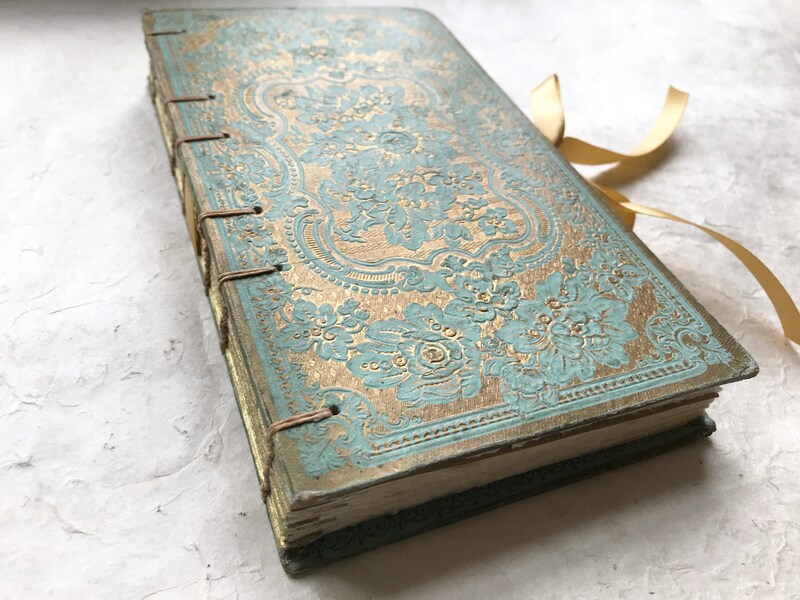 To transform an antique book into a guest book, the spine is cut and the text block removed. 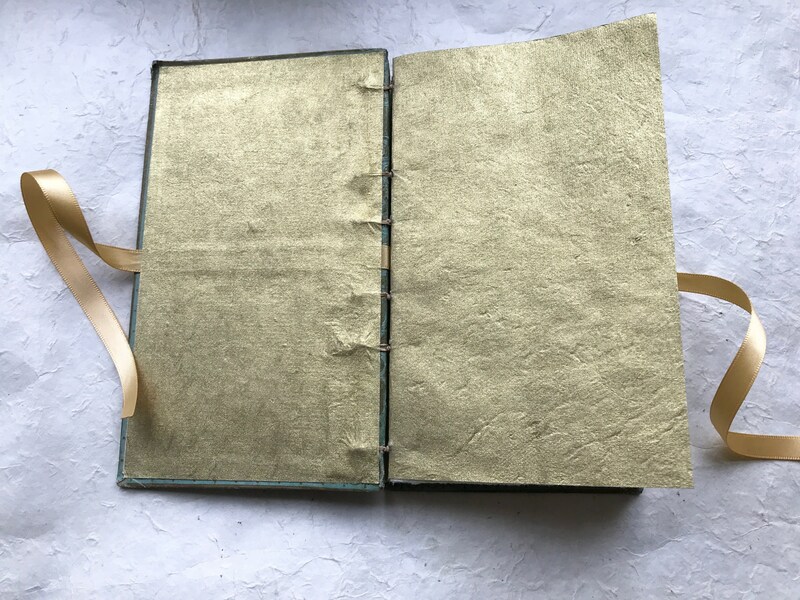 Next the carefully prepped covers are rebound by hand with ivory paper using a multi-needle Coptic method that is strong and flexible as well as beautiful. Coptic bindings are famous for allowing the book to open flat making it easier to write inside. 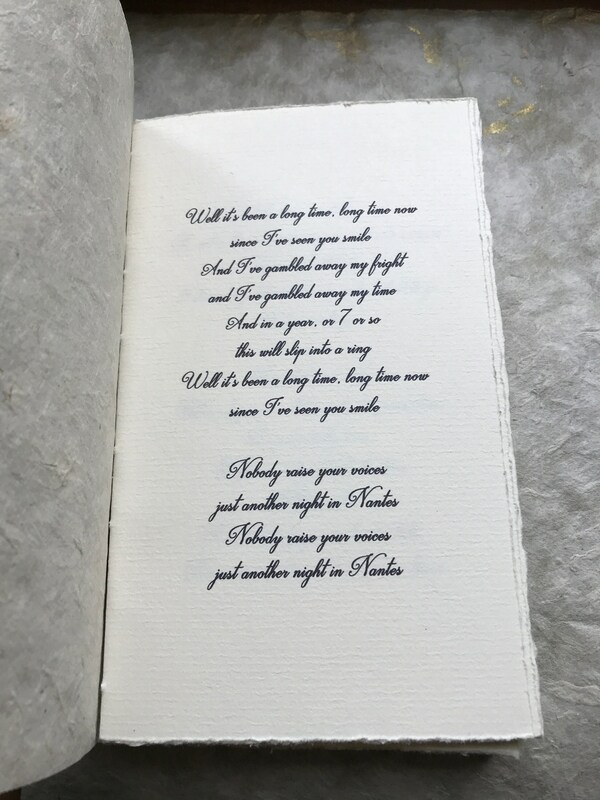 Add text inside to announce an event or add a poem or dedication.